Graphic Designer, Jeanette used pink denim to add a pop of color to her fall wardrobe. 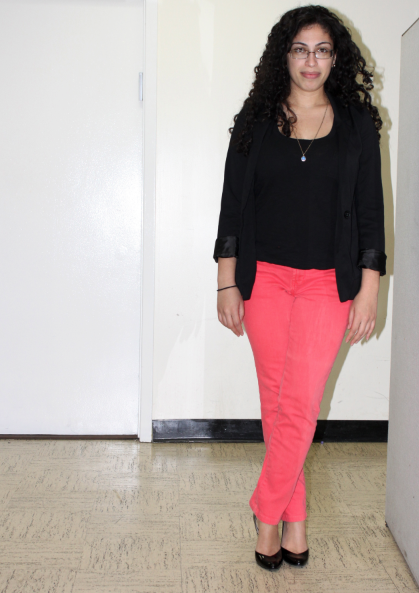 She kept it simple by pairing her colored denim with a black blazer, tank and patent pumps. Colored denim is as easy as 1, 2, 3.